We are delighted to report that Nottinghamshire County Council have abandoned plans to scrap borough and district councils in Nottinghamshire and centralise all local activity in the county council. Sadly the Conservative run authority wasted over £200,000 on consultants fees before backing down. 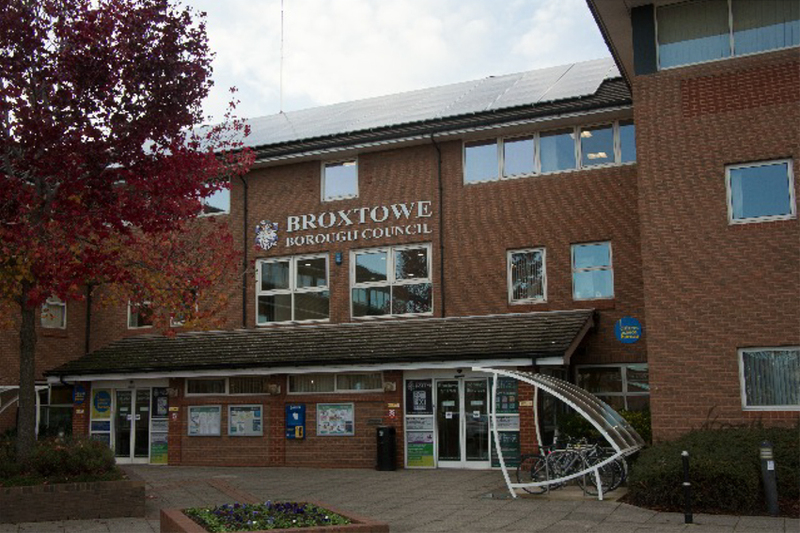 The plans that the County Council put forward would have seen Broxtowe Borough Council disappear, with all local decision making moved to County Hall in West Bridgford. Instead of having 44 local councillors to make decisions about their local area, Broxtowe would simply have had ten County Councillors as part of the 66 member County Council. Bramcote would have had just half of a councillor. We think that this was a major attack on local democracy and we know that the vast majority of local residents felt the same. When we ran a survey about how people felt about these ideas on our website we received the largest response that we have ever had, with 99% of respondents opposed to the idea. We are very much in favour of local authorities saving money where possible. When the Lib Dems led Broxtowe Borough Council we entered into arrangements with other authorities in the area to share HR, IT and payroll services. This means that the councils already operate extremely efficiently. We think that the County Council should have been fighting for more money for Nottinghamshire, rather than trying to scrap local democracy. It is our belief that all decisions should be taken at the most local level appropriate for the issue, and scrapping the Borough Council would have made this impossible. We were disappointed that the Conservatives who currently run Broxtowe Borough Council, including our own Bramcote councillors, came out in support of this proposal. It seems that they were more interested n toeing the party line rather than representing local people. We are however delighted that people power has stopped these proposals dead in their tracks, and we thank everyone for their support about this issue. The Liberal Democrat slogan for these elections is to “Demand Better.” The proposals from the County Council would have given us far worse. We are delighted to announce that former Lib-Dem group leader and Bramcote Councillor Stan Heptinstall MBE has been made an Alderman of the Borough of Broxtowe. The title of Alderman is the highest title that a council can award, is presented to a small number of former councillors who have demonstrated exceptional service to their communities. Congratulations Stan! St Michael’s Parish Church, where past local Bramcote councillor Stan Heptinstall is a churchwarden have extended and improved the Garden of Remembrance at the back of the church grounds. A handrail has been provided to help visitors access the upper level, and extensive clearance work has made it possible for more ashes to be interred in the Garden in the future. This work has been done with the assistance of Broxtowe Borough Council. Highways works are to be carried out on Town Street around the Devils Elbow bend to reconstruct the retaining wall and install a new vehicle restraint system. The County Council say that this means that the road will be closed between Common Lane and Cow Lane between 11 February and 29 March 2019. Broxtowe Lib Dem activists David Watts and Hannah Land have taken to song to express their opposition to Brexit and their wish for the country to come together rather than to fracture. Their song “Building Bridges” is available on YouTube (just search David Watts Building Bridges on the YouTube search bar). TV antiques expert Charles Hanson will be at St Michaels Church Centre in Bramcote on 15 February between 3 and 6pm. Everyone is welcome to bring their heirlooms and antiques to this charity event to have them valued. The cost will be £3 per item. We utterly condemn the threats and intimidation that have been directed towards Broxtowe MP Anna Soubry in recent weeks. It does not matter whether you agree with the position someone takes or not, no-one should be subject to this sort of behaviour, especially not for being an elected representative of their community, whether that be an MP in Westminster or a local councillor here in Bramcote.